A new study has found that US poison control centers received more than 17,000 calls – or about one per hour – about children who had been exposed to chemicals in laundry detergent pods in 2012 and 2013. “I’ve seen these cases come through the hospital’s emergency department,” he said. Laundry detergent pods were introduced to the US market in 2012. The all-in-one packets contain detergent that is released in the wash, so users don’t have to measure detergent in a cup. Dr. Gary Smith and his colleagues write in the journal Pediatrics that doctors have previously reported on kids who have eaten or burst the pods with serious consequences, such as being hospitalized and put on a ventilator for several days. To get a better understanding of how many children are being exposed and possibly harmed by the pods, the researchers analyzed data from 2012 and 2013 from the National Poison Data System, which catalogs calls made to US poison control centers. Overall, the centers received 17,230 calls about children younger than six who were somehow exposed to the liquid in laundry detergent pods. That is roughly four calls per 10,000 children in that age group, according to the researchers. “This is an age group that has newfound mobility,” Dr. Gary Smith said. Children may think the colorful pods are candy or filled with juice, he said. About 80% of all calls involved children swallowing the pods or their liquids. “The good news is that half of these exposures were trivial,” Gary Smith said, meaning the children did not get seriously sick or need additional care. “If they swallow it and they swallow enough of it, that’s when we get these serious symptoms,” he said. 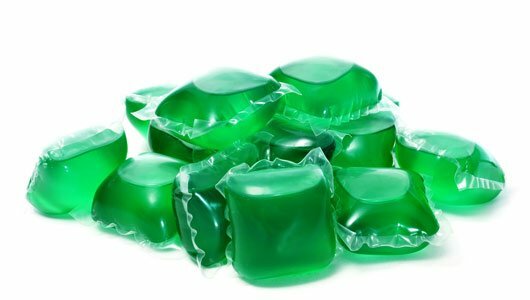 While the researchers can’t say for sure that the detergents in the pods are more powerful than traditional laundry detergent, the symptoms after exposure to the pods seem more serious, Gary Smith said. “The symptoms are a very broad spectrum,” Dr. Gary Smith said. Dr. Gary Smith said parents need to recognize the toxicity of these laundry detergent pods. They also need to close the packages and put them away in a locked cabinet. He said the pods need to be treated like any other chemical. “They need to be kept out of reach and they need to be locked up,” he said. Dr. Gary Smith said industry is moving in the right direction by crafting new and more child-resistant packaging.